There are generally very little regulatory requirements in terms of insurance cover in South Africa. This does not mean that it is not necessary to take out commercial insurance in South Africa. Insurance is absolutely vital to the survival of any business. There are many kinds of commercial insurance available in South Africa. These range from basic retail insurance products to more comprehensive liability and indemnity products. 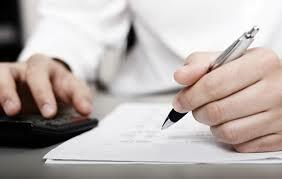 The best insurance for a business can only be chosen once a proper risk assessment has been done. Once up and running, it is essential to review the chosen insurance on an annual basis. With property insurance in place, the premises of the business and its content is protected against loss or damage. Property insurance could also cover the property of others in your control at the time of the loss. Liability insurance protects the business when it is sued for negligence of the business of its employees. This could be, for instance, when an employee is injured on the job or when someone is impacted by the employees of the business or goods in transit. This insurance covers all vehicles used for business purposes. The interruptions covered by this insurance are the kind that has the potential to stop normal business operations. With business interruption insurance in place, the cash flow and profit is protected. This insurance provides a wage replacement and medical benefits to employees who suffer an accident on the business’ premises. You are welcome to contact us to further discuss these and other commercial insurance types. Our consultants in Cape Town are available on +27 (0) 21 424 2460 and our Johannesburg consultants on +27 (0) 11 234 4275. Alternatively, request a free call back for a consultant to contact you instead. If you haven’t applied for your business visa yet, remember that you have to do that first. The consultant you speak to during your conversation about commerical insurance in South Africa will be able to answer any questions about a business visa too.